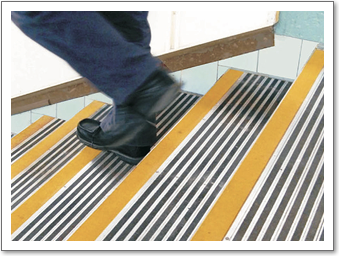 We offer a variety of Anti Slip Heavy Duty Stair Nosing designs to suit all applications. We offer a bespoke service to manufacture stair nosing to exact sizes. For more information call 0208 866 8664. 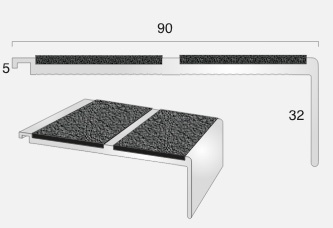 The Anti Slip Heavy Duty Stair Nosing has been developed to withstand very high levels of footfall and provides a resilient anti slip stair edging for additional safety. 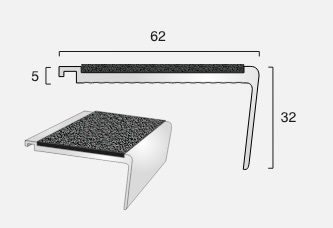 Designed for internal or external use and being able to be used in wet conditions, the Anti Slip Heavy Duty Stair Nosing is an ideal metal stair edge for public areas. The interlocking system provides the ability to further extend the reach for wider uses and are developed for using as a retro fixing. Supplied in a Mill Aluminium finish. Fixings not supplied. 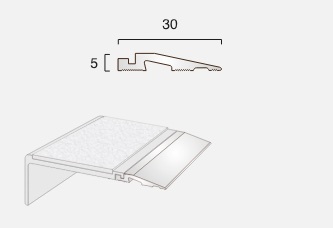 Infills are manufactured from composite reinforced glass polyester infused with aluminium grit. 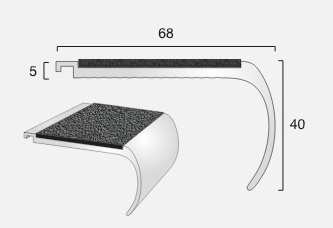 Stair Nosing is supplied pre-drilled with PVC concealing plugs. 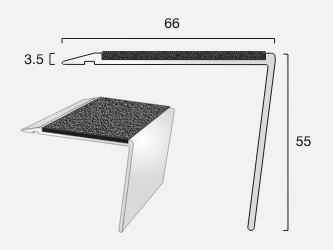 Maximum length 2500mm. 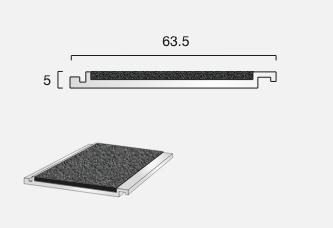 Aluminium Heavy Duty Stair nosing with Carborundum infill and interlock feature for larger surface profile. 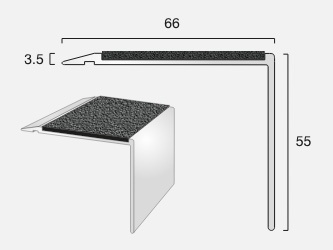 Maximum length 2500mm.